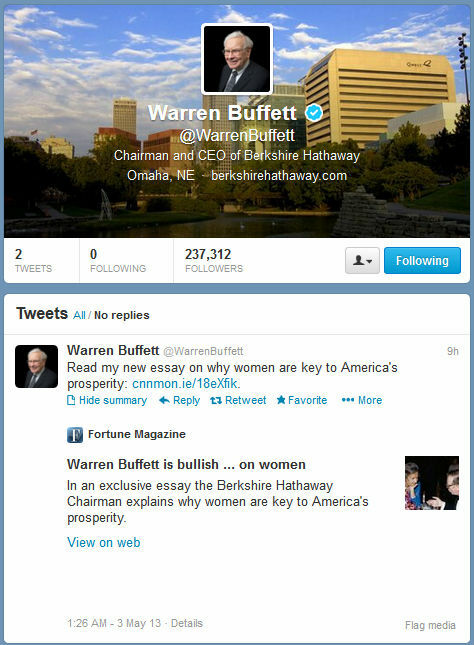 Warren Buffett - Respect !!! Won't say much about this legend, but just one fact and a pic should give enough motivation to read about him. 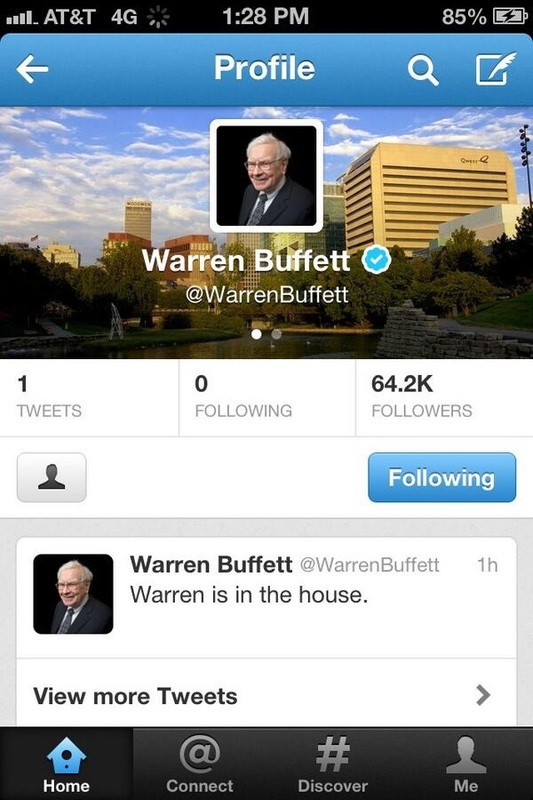 Fact: Warren Buffett arrived on Twitter on Thursday 2nd May 2013, and this is what happens with his first tweet on Twitter. 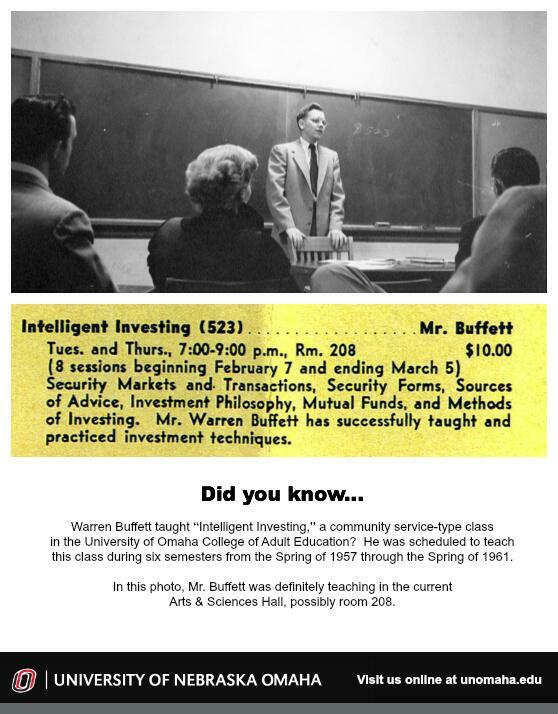 Did you know Warren Buffett used to teach "Intelligent Investing" at the University of Omaha College of Adult Education. He buys companies that he understands ... are we expecting Twitter acquisition ?? ?